Zap cached app files in a single tap, clear the Downloads folder, delete unneeded offline maps, take charge of music downloads, and more. Updated June 28, 2018 to reflect Android O (Oreo). Few things in life are as annoying as finding that your Android handset refuses to install any more app updates because it’s run out of storage. Unlike many of life’s little annoyances, though, this one’s easy to fix. You can quickly clear out hundreds of megabytes or even a gig or two by sweeping up stale downloads, rooting out offline maps and documents, clearing caches, and wiping unneeded music and video files. And if these tips don’t do the trick, check out our picks for the best Android phones for every need and budget. 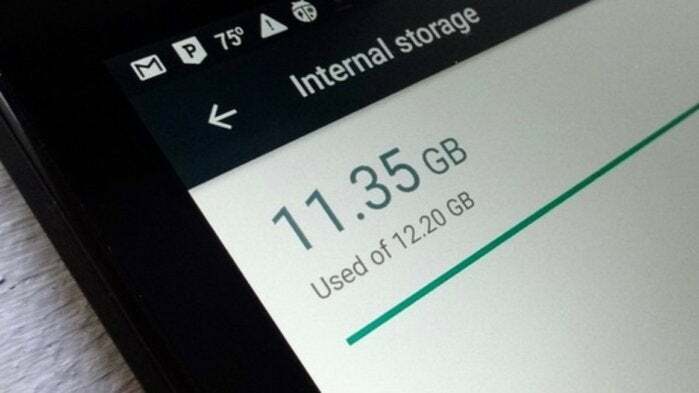 The “cached” data used by your combined Android apps can easily take up more than a gigabyte of storage space. Tap and hold a file in the Downloads folder and then tap the Trash button to delete it. Downloaded tunes and podcasts in the Play Music app can gobble up an impressive amount of storage. Just tap one of your offline maps in the Google Maps app to update it or—if you’re running low on storage space—delete it. You can find out which apps you use the least with help from the Play Store app. 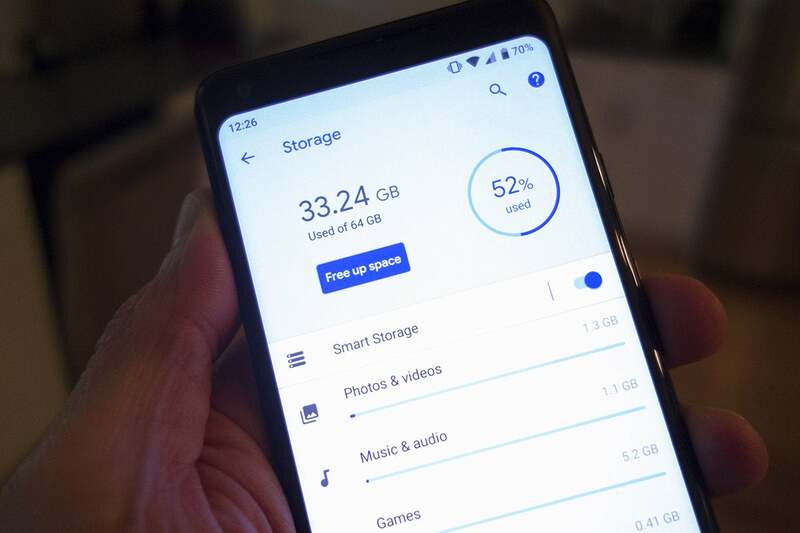 If you’re lucky enough to have a phone that’s been updated to Oreo, Google has built in some great tools for tracking and managing your storage limits. Head over to the Setting app and tap the Storage tab. Inside you’ll find a handy rundown of everything that’s taking up space on your phone, just like on Nougat. But in Oreo, you have more control over your files. Tap on any of the sections and you’ll see a list of related apps and how much space they’re using. Tap again, and you’ll be able to clear anything inside by selecting the “Free Storage button. Just keep in mind that this will clear any files being help inside the app. The storage manager in Android Oreo will help you see exactly what’s eating your phone’s free space. You’ll also find a new “Free up space” button at the top of Oreo’s storage manager. 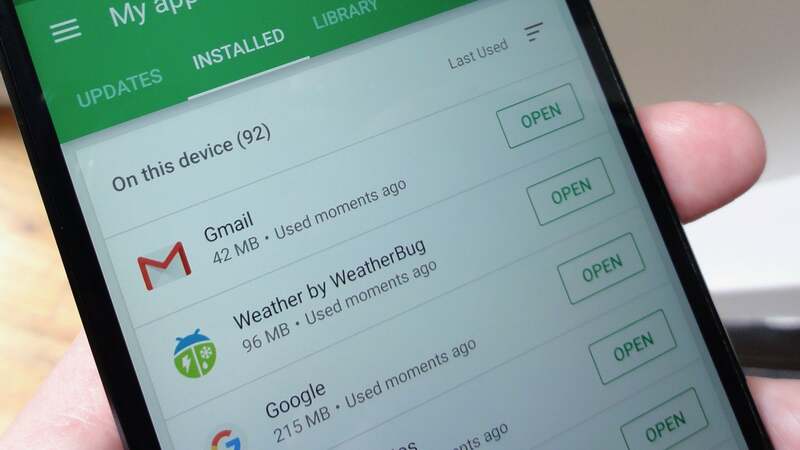 Tap it and you’ll see a list of your downloads and infrequently used apps, as well as an option to clear any photos and videos that have already been backed up to the cloud. It’s essentially a shortcut, but it’s a handy one. Oreo includes a new toggle called Smart Storage that can work wonders without needing to do a thing. Flip it on, and your phone will automatically clear out the biggest space-stealing culprit: photos and videos. Android Oreo’s Smart Storage can free up space without your needing to lift a finger. Since we all forget to clear out our photo libraries regularly, you can choose to automatically remove backed-up photos and videos after 30, 60, or 90 days, making sure you phone isn’t stuffed with duplicate photos. Nearly every Android phone you can buy in 2018 has a slot for expandable storage, so you’ll be able to double, triple, and quadruple the space on your phone for just a few bucks. 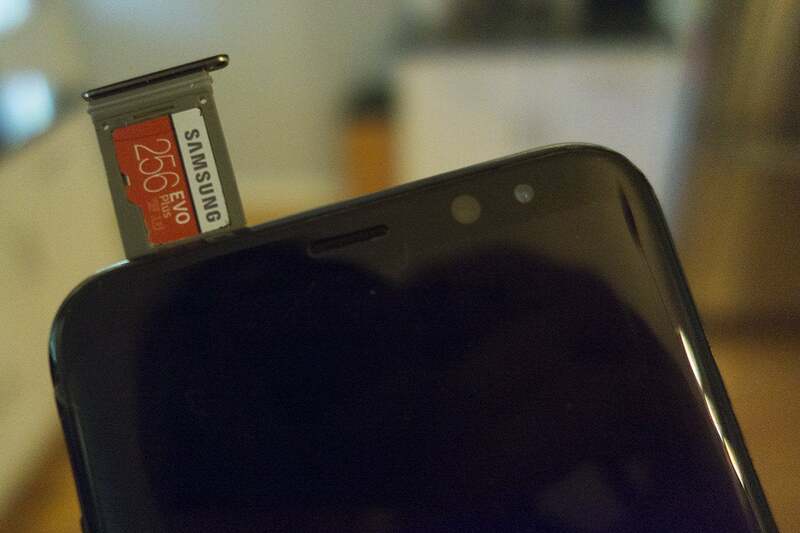 You’ll want to get a micro SD card from Samsung or SanDisk in at least 32GB capacity. Prices per gigabyte decrease substantially as the capacity increases, so you should buy the biggest card that you can afford. As a very general rule, around $0.40 per gigabyte is a good price. 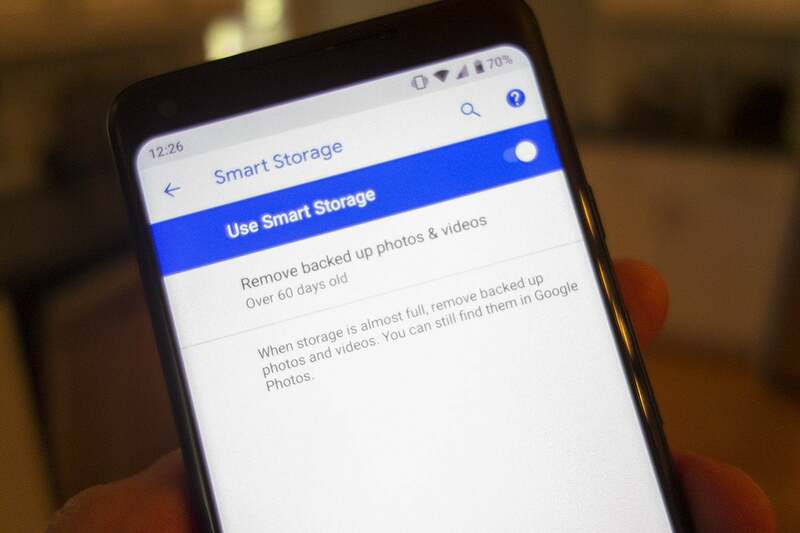 The best way to free up space on your Android phone is to add more of it. Once you select the size you want, installing it is a snap. There’s no formatting to worry about, just pop open your SIM card slot and slide in the SD card. Then, you’ll be able to shift files and apps onto the card as needed to free up precious internal space. 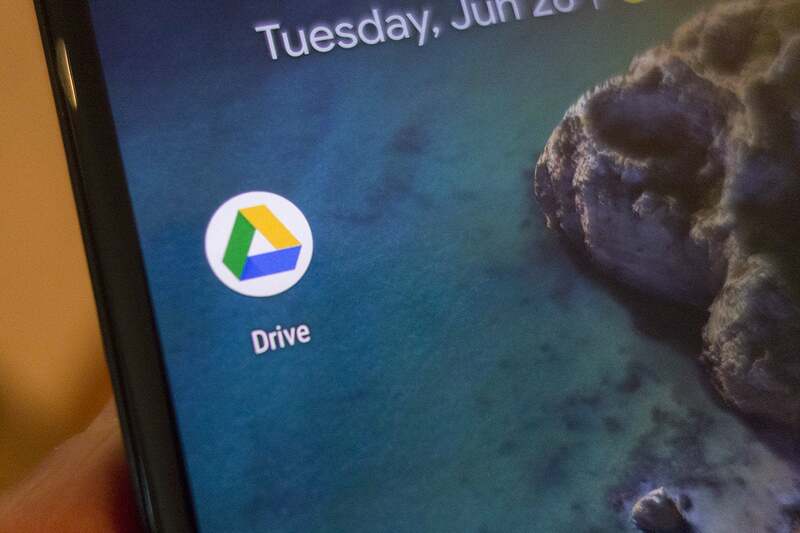 Google gives 15 gigs of free cloud storage with every account, so you might as well use it. Anything inside your Downloads or Files app can be jettisoned to your Google Drive by tapping the menu button in the top right corner and choosing “Send to...” This will open the share sheet, where you can select select Save to Drive to choose which folder to add it to. Then you can delete it from your phone without losing it forever. Your phone comes with 15GB of free space that you might not be utilizing. And if 15 gigs isn’t enough, you can upgrade to Google One and increase your storage by an order of magnitude for just a few bucks a month. For just $1.99 per month you’ll get an extra 100GB of space, and a buck more ($2.99/month) will double it to 200GB.